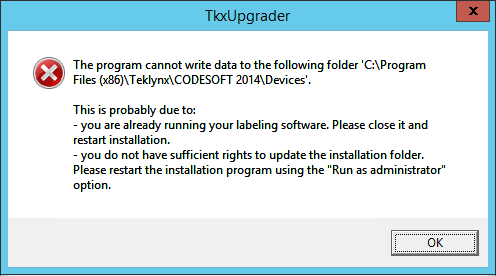 This Error Message Article explains the TEKLYNX error message “The program cannot write data to the following folder ‘C:\Program Files (x86)\Teklynx\CODESOFT 2014\Devices” and details how to fix the underlying problem that caused it to appear. When running a TEKLYNX printer driver update, this message indicates that the user does not have administrative access to Devices folder. 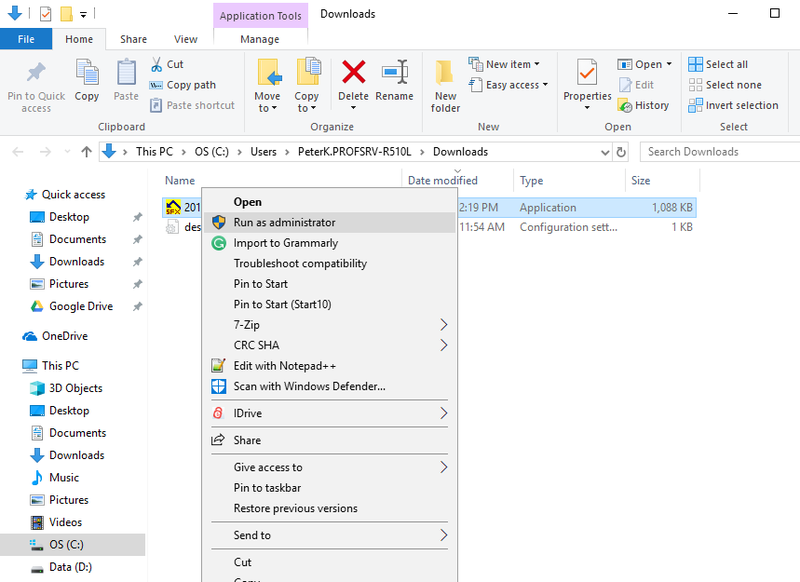 Right click on the driver update, before running it, and select “Run as Administrator”. Note: we have seen an example where the error still appeared, even after selecting ‘Run as Administrator’. In that case, shutting down all the TC related services, setting these services to Manual Start, and rebooting, allowed the client to run the driver update.